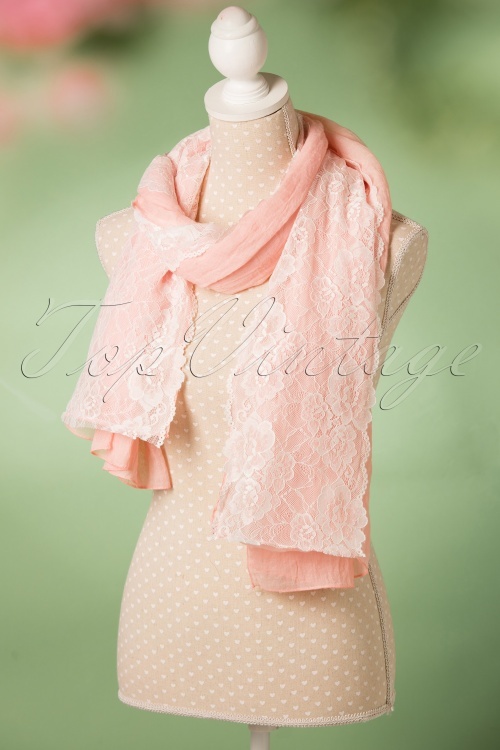 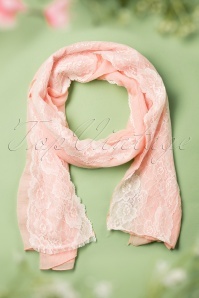 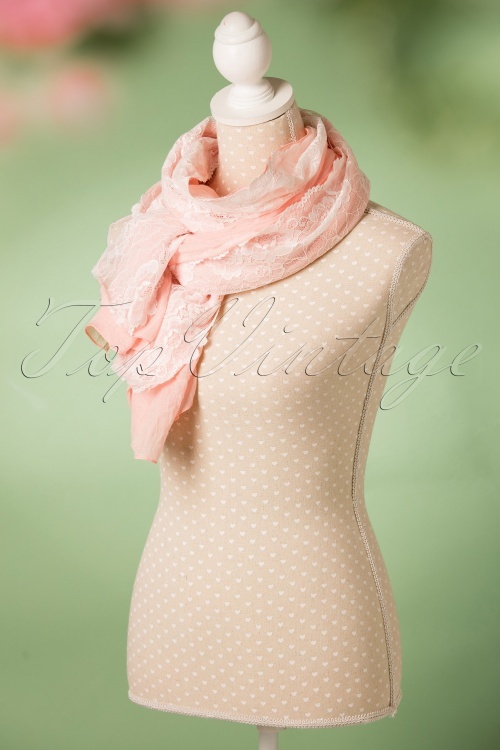 This 30s Diane Lace Scarf will keep you warm in a fabulous way! 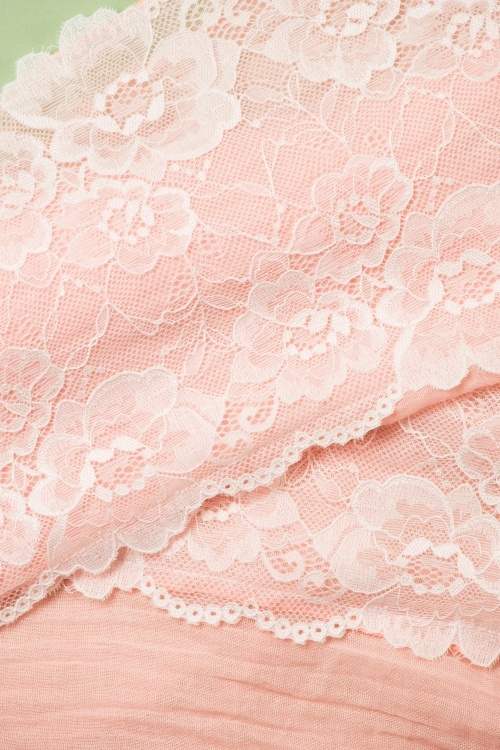 Surrounded by stunning flower lace, so soft, so breathtaking... stop daydreaming, Diane is even more beautiful in reality! 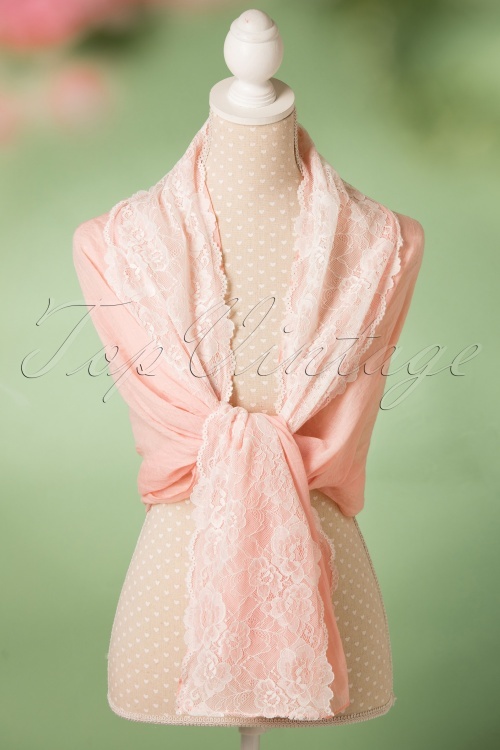 Not all daydreams are lies, she proves that with her soft, light pink viscose blend which is finished off with elegant scalloped flower lace. Drape her gracefully around your shoulders or wrap it around your neck to beat the cold, beating the cold was never so fabulous!